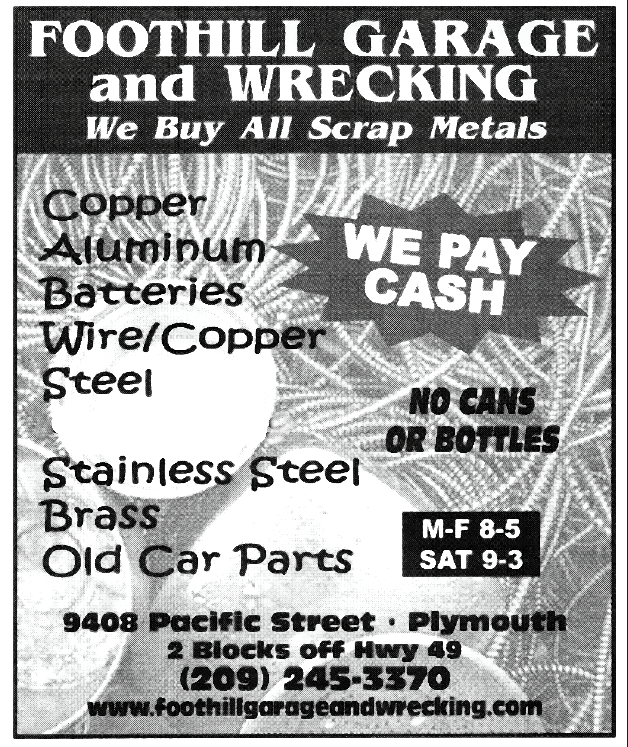 Foothill Garage & Wrecking - Plymouth, CA - Specializing in Vehicle parts, scrape metal recycling, vehicle fluid recycling, propane in the Motherlode Foothills. Find it for HALF the Cost of New! Foothill Garage & Wrecking, Inc. has over 40 years of Auto Recycling experience, providing quality used parts to our customers. We are conveniently located near Hwy 49 in Plymouth. 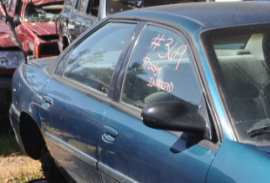 Our experience and large inventory enable us to locate the quality part you want quickly. Use our on-line parts request form and tire request form to let us know the parts or tires you need, either domestic, classic or foreign. Our inventory is constantly changing. Need a part for a specific car make or model? Let us search our inventory for you.